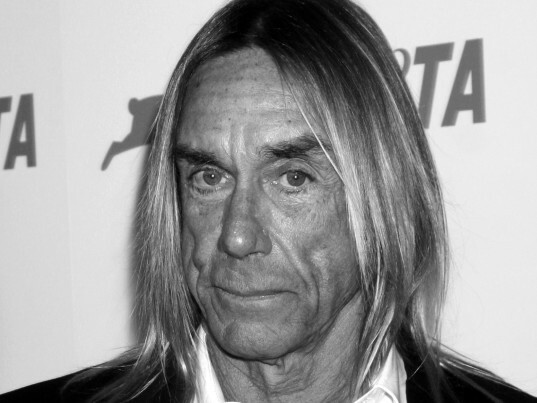 Iggy Pop wants you to recycle your clothes. The American singer-songwriter has teamed up with H&M to highlight the retailer’s garment-collecting initiative. In a video “public service announcement,” the “Lust for Life” hitmaker extolls the value of breaking all the rules of fashion save one: “Recycle your clothes,” he intones. H&M has been championing the “circular economy” of late. Besides launching new styles in its “Conscious Denim,” line, which is derived, in part, from some of the 14,000 tons of textiles it’s collected over the years, the company recently kicked off a $1 million annual prize to find the next big closed-loop innovation. And, together with DoSomething.org, H&M is introducing the “Close the Loop College Cup” competition. From now through October 1, 50 colleges across the country will be competing to see who can collect the most used clothing. Participants are eligible to win a $2,000 scholarship, new laptops, and “other compelling prizes” for both themselves and their schools, according to the retailer. Iggy Pop wants you to recycle your clothes. The American singer-songwriter has teamed up with H&M to highlight the retailer's garment-collecting initiative. In a video "public service announcement," the "Lust for Life" hitmaker extolls the value of breaking all the rules of fashion save one: "Recycle your clothes," he intones. H&M has been championing the "circular economy" of late. Besides launching new styles in its "Conscious Denim," line, which is derived, in part, from some of the 14,000 tons of textiles it's collected over the years, the company recently kicked off a $1 million annual prize to find the next big closed-loop innovation.